So you have plans of becoming a professional guitarist and are wondering how to go about being one. Well, the first thing you need to do is get a really good guitar. Acoustic models in the $1000-$1500 price tier are generally considered fit for the pros. You’ll be doing yourself a favor if you choose a guitar from that price range as these are made with better-quality materials and will last for a good long time – with proper care and maintenance, of course. Aside from a quality guitar, what else do you need to know to get a good career as a professional musician specializing in acoustic guitar? Don’t stop learning and practicing. Continue working on improving yourself as a musician. Aside from learning and mastering techniques, you also need to be able to play consistently well in any environment, be it the studio or the stage. Be in the know about different playing styles, increase your chord knowledge, practice those progressions like your life depends on it and generally challenge yourself to become better than what you are today. You’ve come a long way from being a beginner when you strive to get everything right; now it’s time to never get anything wrong. Invest in good quality gear. Your musical ability will be for naught if you can’t show how good you really are because your equipment makes everything sound muddy. If you’re serious about going pro, you need to spend on good gear so that your studio recordings sound as tight and clean as possible. Having quality equipment early on in your career would also make it easier for you to get your music out to a wider audience. Make your recordings something you can really show off and be proud of – only then will you be able to get the gigs you’re aiming for, whether it’s teaching guitar, playing in a band, or getting commissioned work. Improve your live performance skills. If your goal is to hit the stage, you need to be stage-ready too. People want to see a good show, so practice playing in front of a mirror or make a video recording of yourself. You need to get a little social too so you can connect with your audience. If you can create a great audience experience, you’ll have a better chance of getting more gigs and making your way to the top. Build and connect with your fan base. Aside from connecting with your audience during live performances, you also need to engage with audiences online. Musicians who care about what audiences think are more likely to turn those audiences into fans. It would be a good idea to create social media accounts dedicated to your music (your brand) and really learn how to engage with followers and acquire new ones. Make sure to thank compliments and subscriptions, respond to criticisms constructively and be mindful of your online reputation. Musicians could always use a little help from their friends. 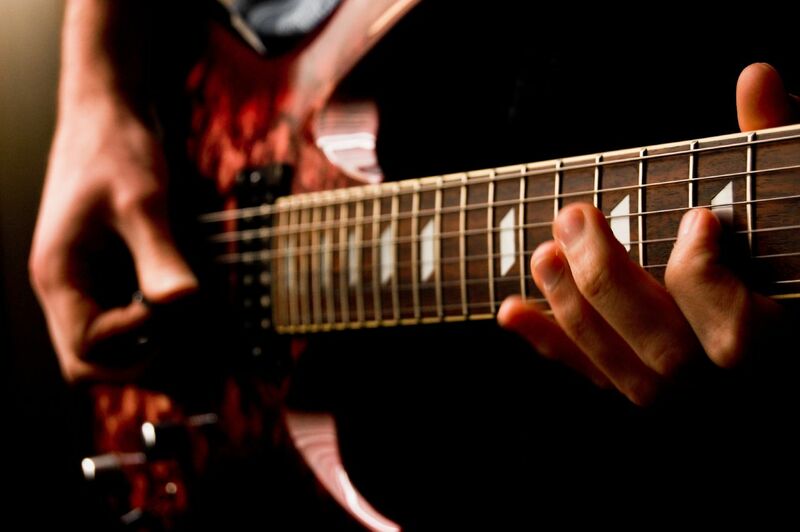 For our last tip, consider working with other guitarists to get gigs or show your musical talent. Form a collective, invite other musicians over for a jamming session and vlog about it, promote each other’s work – all of these can help you reach a wider audience, gain more fans and add to your experience as you go on your journey as a professional guitarist. Good luck!